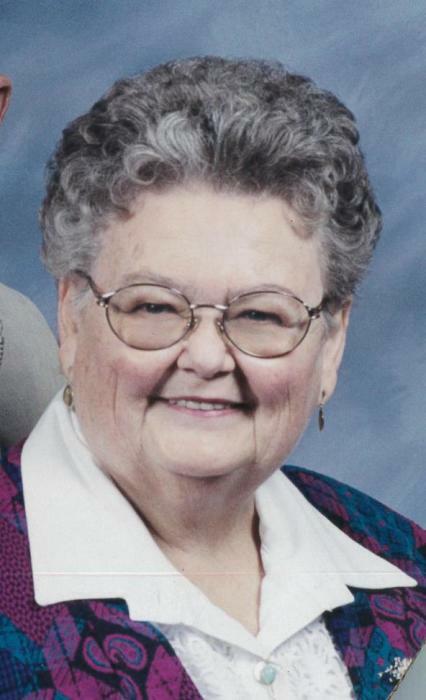 Patricia Mae Youso, 88 years of age, passed away April 6, 2019 at the Libby Care Center in Libby, Montana. She was born December 17, 1930 to Francis & Beatta Parsons at Selfridge, North Dakota. Shortly after her birth her family moved to Minneapolis, Minnesota. Pat enjoyed school at Central High School in Minneapolis. Her large group of friends loved to go to dances and wrestling in the downtown area. She graduated from Central High in l948. Pat was one of the first women to join Civil Air Patrol. Her family was very proud of her accomplishments and she gained lifelong friends through Civil Air Patrol. She had two employments she thoroughly enjoyed; switchboard operator and as a bookkeeper for a major liquor distribution company, both in Minneapolis, MN. On May 27, 1950 Patricia Mae Parsons married Joseph O. Youso, in Minneapolis, MN. Together they raised four children; Mark, Frank, David and Ann Marie. In 1966, the family moved to Libby, Montana to be close to family. Pat was a homemaker, she loved to cook and bake. She made wonderful desserts. She was proud to participate in cooking and baking for her church’s functions, St. Joseph’s Catholic Church. She was a member of the church her entire life in Libby. Large family gatherings were always at Pat and Joe’s home with special delights to eat made by Pat. People were always welcomed in their home. Pat loved to go for rides with her husband, Joe. Sometimes those rides reached across the United States, always stopping to visit and enjoy family and friends. She loved to travel. Patricia sewed for her family; she also sewed patchwork quilts and crocheted afghans. She loved to read. Pat was preceded in death by her parents, her brothers Thomas and Sid (Frank) Parsons; her sisters Evelyn Johnson and Dolores (Dee) Youso; her husband, Joseph (Joe) Youso; her son, Francis (Frank) Youso. Pat is survived by her sons Mark Youso (Lauri) and their family; David Youso and his family; Kathy Youso and family; Ann Marie Youso-Wells (Richard) and their family; Pat loved her large family including grandchildren, great grandchildren, nieces and nephews and their families. Pat will be remembered as kind, generous and loving in all our hearts. Vigil Service will be on April 25, 2019, 7:00 pm at Schnackenberg Funeral 422 W 2nd Street, Libby, MT. Mass will be held at 11:00 a.m., on April 26, 2019 at Saint Joseph’s Catholic Church, 719 Utah Ave, Libby, MT. You are invited to come and celebrate Pat’s life and her joining our Lord, Jesus Christ. Arrangements are by Schnackenberg Funeral Home in Libby. Online condolences and memories may be shared at www.schnackenbergfh. There's still time to send flowers to the Rosary at the Schnackenberg Funeral Home Chapel at 7:00 PM on April 25, 2019.